If your client is looking to improve their bathroom, and even increase the value of their home, ProSource® has the resources to help. Our showroom is filled with products to browse and inspect. Bathrooms can be a very personal piece to your clients, which is why our showroom allows them to walk side-by-side with you and determine which products would suit their home best. In this way, your clients can be exposed to an array of products and displays. Our hope is that through our showroom, both you and your client can gain insight and inspiration. You, as well as your clients, use a bathroom sink every day. 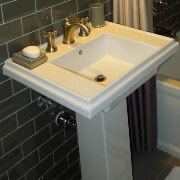 The quality of a sink can generally foretell the appearance of a bathroom. Within our showrooms, we can introduce you to incredible styles and models of undermount and top mount sinks. 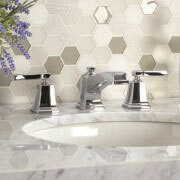 A bathroom sink faucet is the easiest way to give your bathroom the accenting it needs. At ProSource of Daytona Beach, we have on-staff professionals to help you and your client choose the right faucet to fit their needs. Showers vary greatly depending on their design and surrounding decor. At our showrooms, we have a wide-range of shower products. With our help, you can remodel your client’s shower efficiently and successfully. 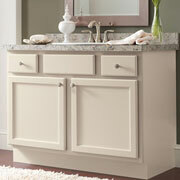 If your client is struggling with storage space in their bathroom, perhaps they could install a vanity. At our showroom, we have a large variety of vanities ranging in style, shape, and color. A large bathtub is the crowning jewel of any bathroom. 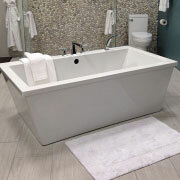 If your client has specific requests for their tub, perhaps visiting your local showroom would be beneficial. Here, we have dozens of tub models for them to choose from. 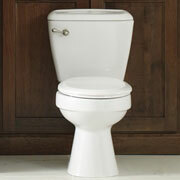 If your clients need a toilet replacement, look no further than our showroom. Here, you will be able to browse our selections and find a model that will accompany their home nicely. We proudly serve Daytona Beach, Ormond Beach, Palm Coast, Port Orange, New Smyrna, and St. Augustine, Florida. The ProSource of Daytona Beach showroom is conveniently located in Daytona Beach, Florida and serves all of the neighboring cities including Barberville, Bunnell, Cassadaga, Crescent City, Daytona Beach, De Leon Springs, Debary, Deland, Deltona, Edgewater, Flagler Beach, Glenwood, Lake Helen, Mims, New Smyrna Beach, Oak Hill, Orange City, Orlando, Ormond Beach, Osteen, Palm Coast, Pierson, Port Orange, Scottsmoor, Seville and Titusville.